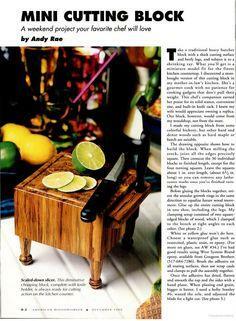 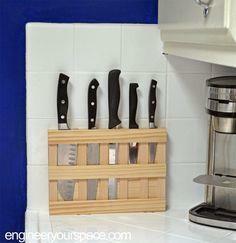 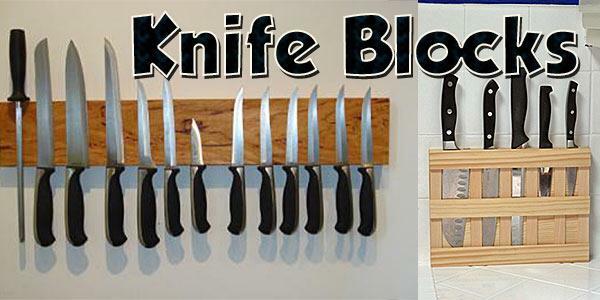 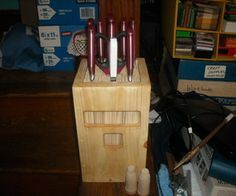 Knife blocks are more than just decorative. 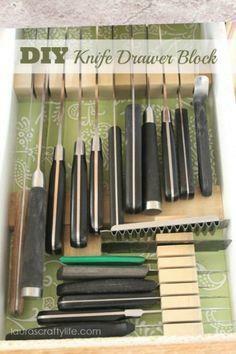 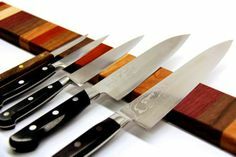 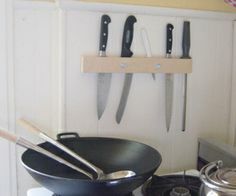 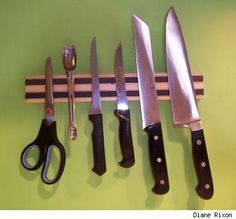 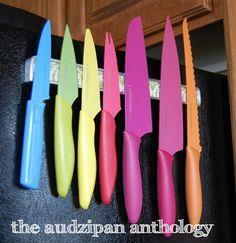 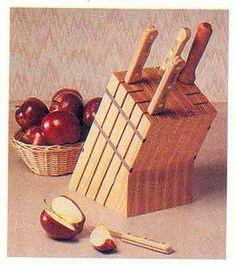 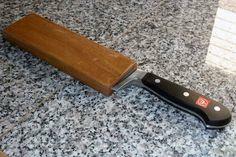 They keep your family safe from dangerous kitchen tools and keep your knives safe from nicks and improper use. 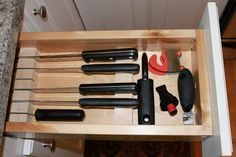 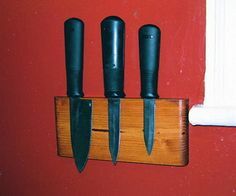 Knives can be stored on the counter in a decorative wood block, in a drawer with custom divided knife slots or secured on a wall mounted block that keeps your counter free. 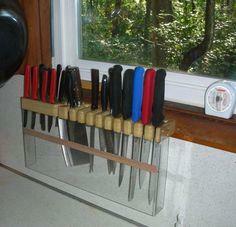 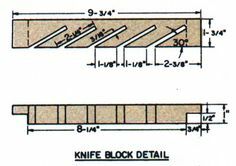 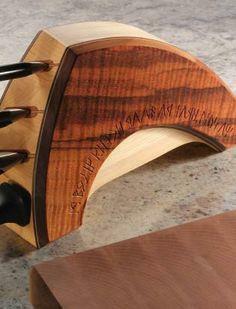 You'll even find plans that combine wood with a powerful magnetic strip so your knives are available instantly. 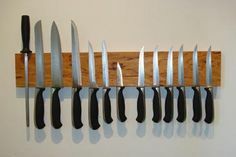 Simple and slim styles are great for modern motifs, classic styles are perfect in a traditional kitchen and rustic, upcycled materials go great in a shabby chic or country-style home. 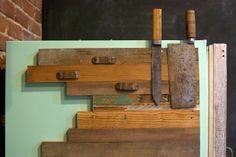 Suggested materials include upcycled wood, hardwood, dimensional lumber, plywood, kabob sticks, pebbles, magnetic strips, dowels and dimensional lumber. 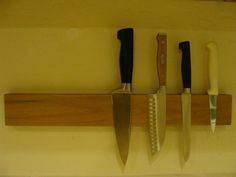 Every cook needs knives, and every knife needs a proper home. 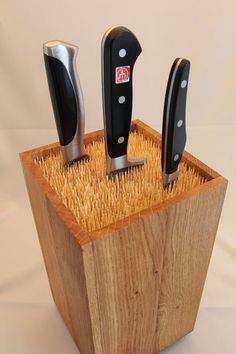 Keep your knives safe and secure with a knife block for your counter, wall or drawer. 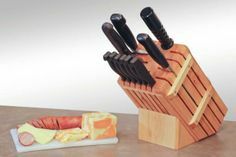 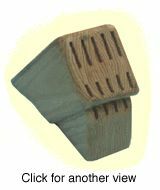 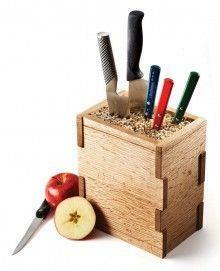 Made with your choice of wood, these knife block plans and holder plans are available in many shapes and sizes. 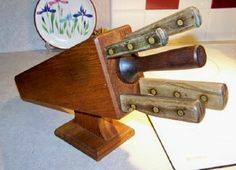 Fancy or plain, simple or complex, there are plans and instructions for every style of knife holder.